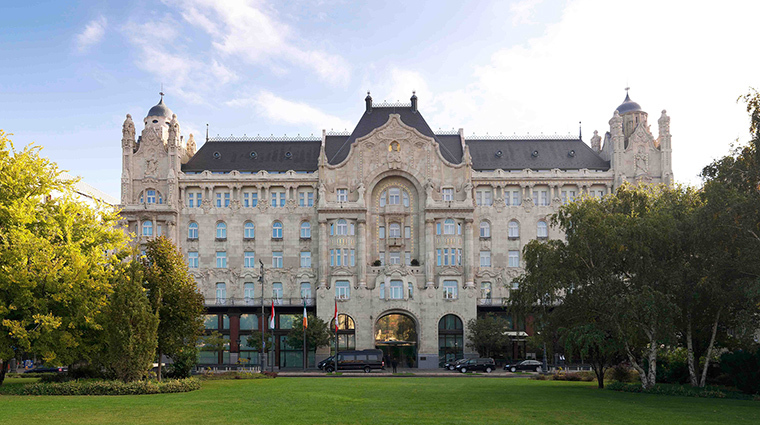 As one of the most beautiful hotels in Budapest, Four Seasons Hotel Gresham Palace is an art nouveau masterpiece on the banks for the Danube River. 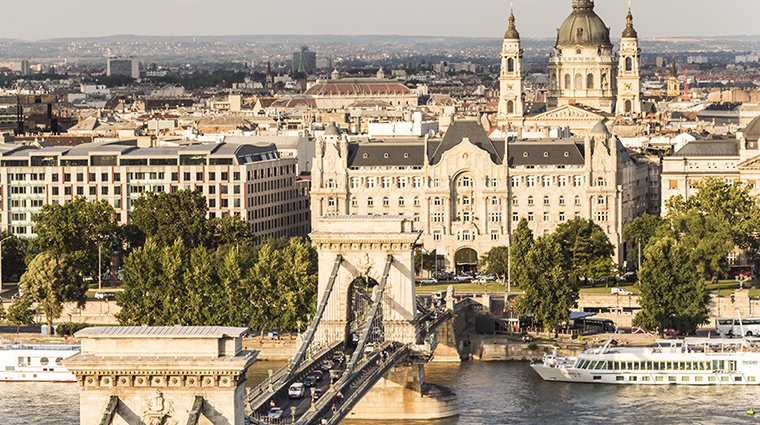 Facing the iconic Chain Bridge head on, with Buda Castle further in the backdrop, this historic luxury hotel has the best view in town. Built by its British namesake Gresham Life Assurance Company in 1906, the space originally housed residential apartments for most of the 20th century before its transformation into a Four Seasons in 2004. 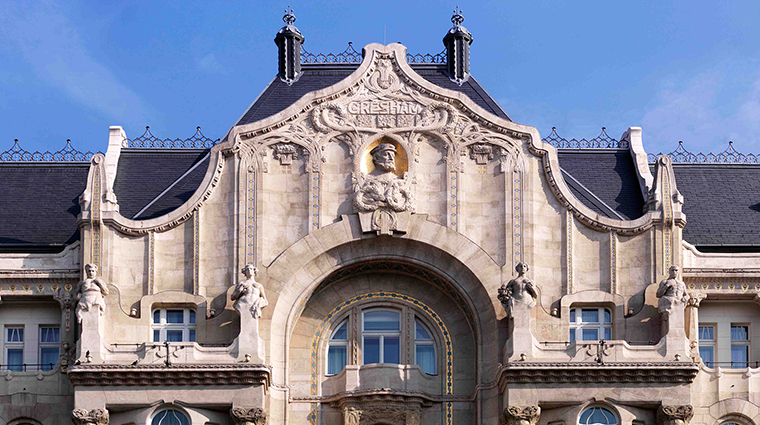 The building’s art nouveau beauty is legendary, from stained-glass windows once hidden on the rooftop during World War II to the Zsolnay mosaic tiles accenting the arcades of the Zrínyi Passage in the lobby. 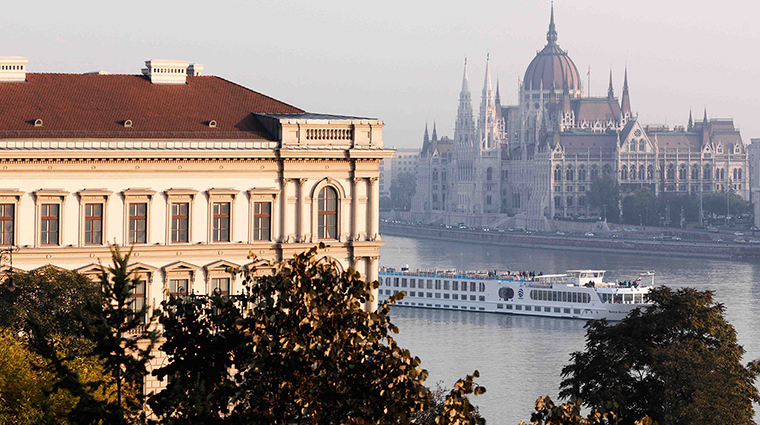 The hotel has 179 rooms, and the standard accommodations are the largest in Budapest. 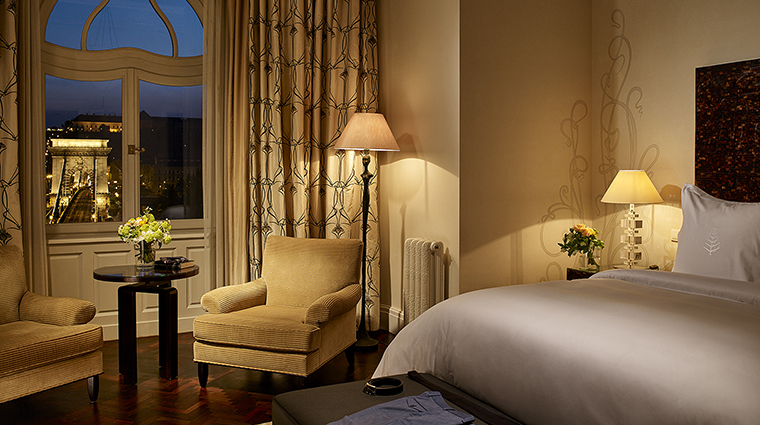 You can also opt for fine dining at Kollázs Brasserie & Bar and relax at the rooftop spa. Elements of the hotel’s eclectic past lie hidden in the details, such as engraved glass once belonging to the elevator shaft. 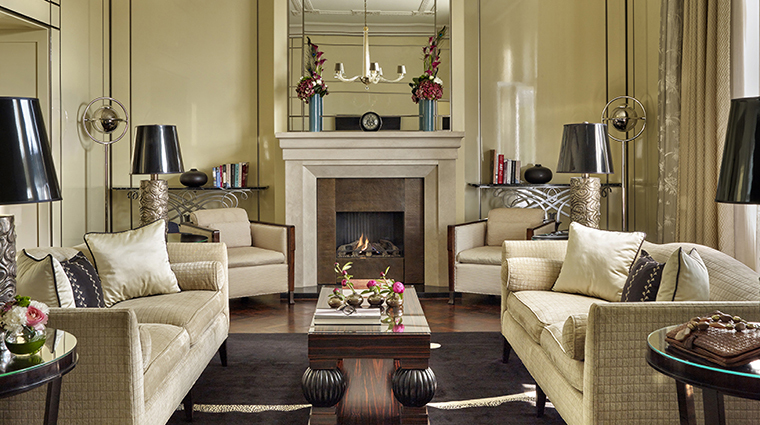 The guest accommodations are the largest you will find in Budapest. 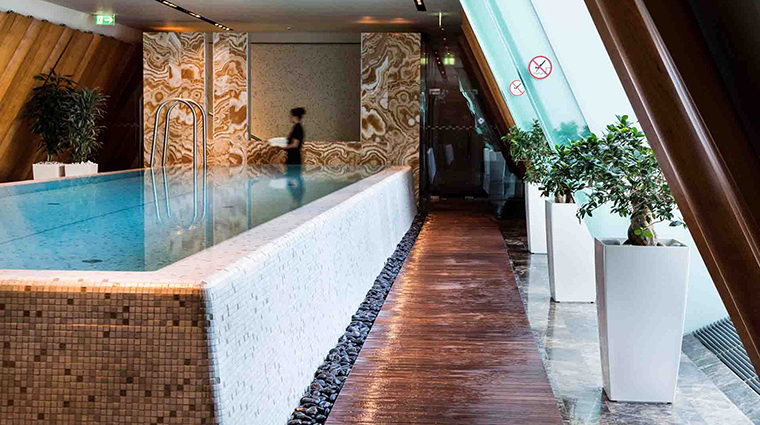 Hotel guests can take advantage of the Four-Star spa, with its seven treatment rooms, sauna and steam rooms, whirlpool and its infinity-edge lap pool. 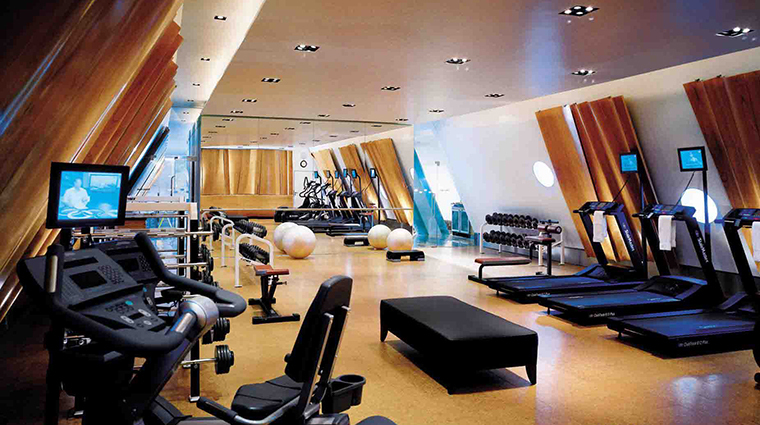 On the top floor of the spa, sits the hotel’s fitness center. There is also a gym on the top floor. 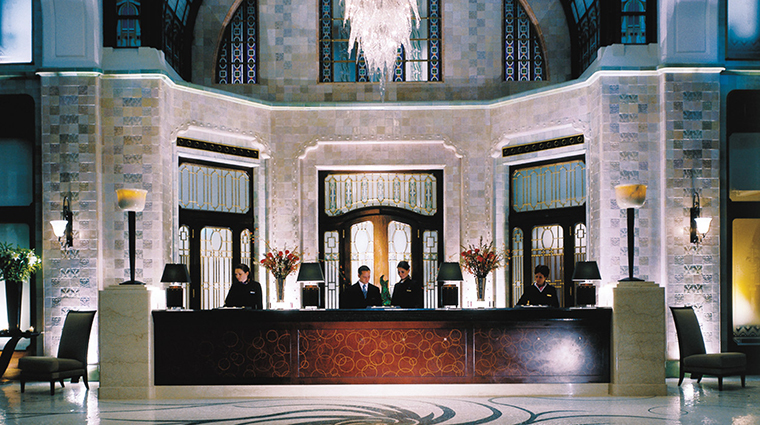 The luxury hotel has a concierge service to aid you with any travel needs and also arrange for tailor-made tours in Budapest. 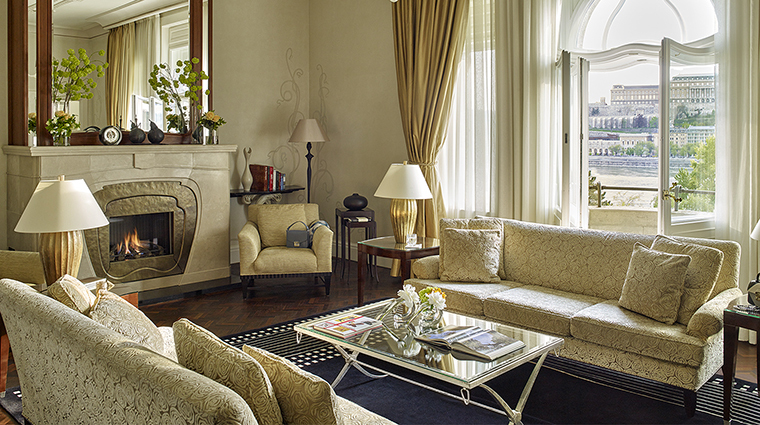 All suites, with exception of the Park Suites, have Danube views. Next to the lobby is a 24-hour business center that caters to business travelers with three work stations, a board room and also all the necessary digital technology any traveling business person requires. 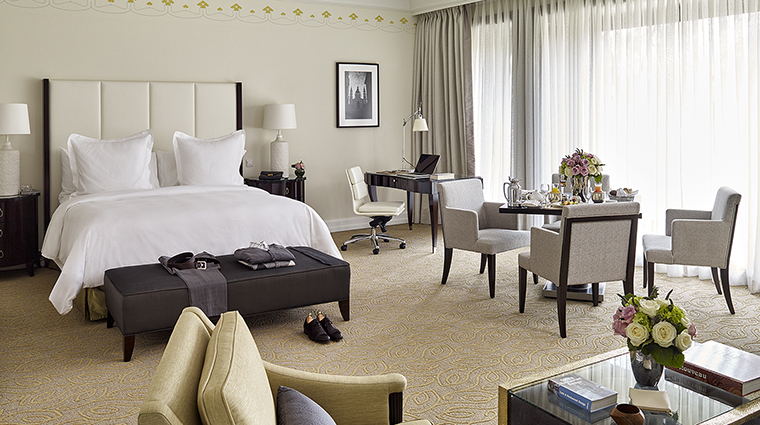 In-room dining is available 24-hours per day. Mobility impaired guest should request the Superior Room. Located on the first floor, the room features modifications such as lowered light switches and grab bars in the bath area. Across five floors, the Budapest hotel has 160 rooms and 19 suites. 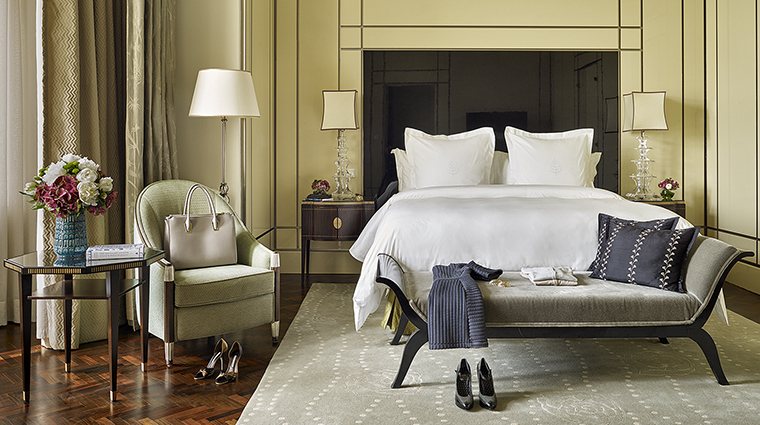 Each room is decked in a palette of elegant cream and ivory tones and classic polished furniture. 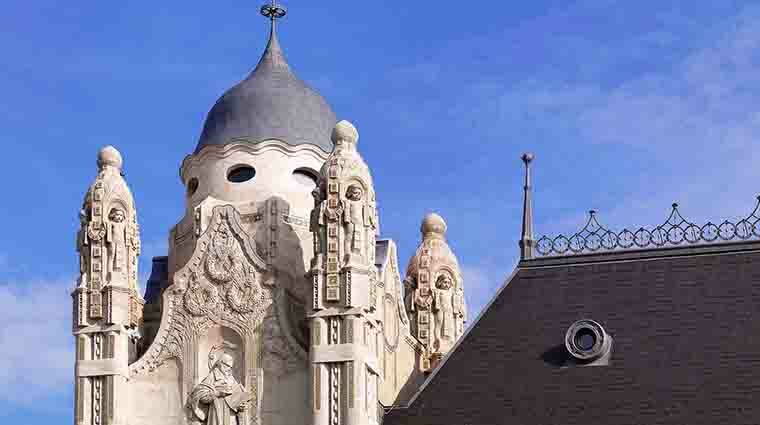 Lovely art nouveau details echo the building’s heritage. 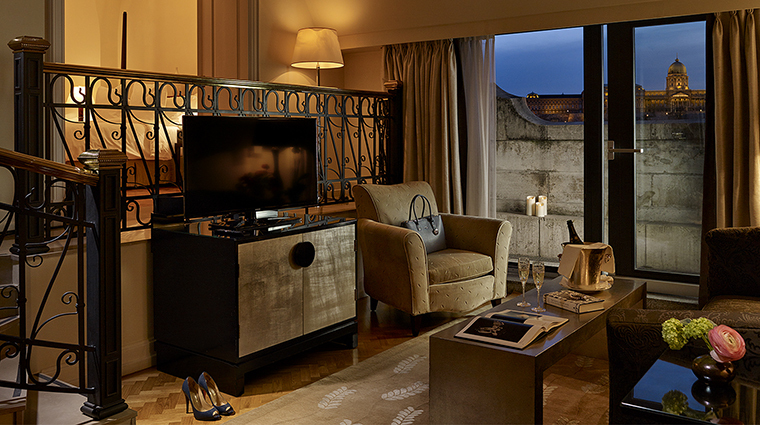 Rooms come with a fully equipped entertainment station, a Nespresso machine and a complimentary bottle of water for guests. 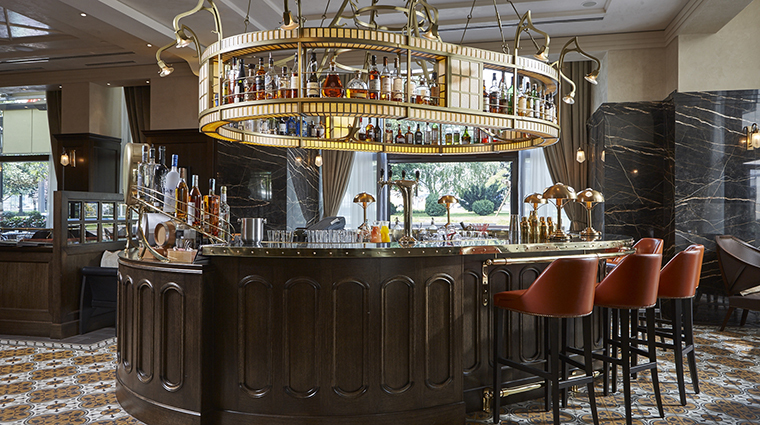 The mini-bar is stocked with drinks, snacks and even souvenirs. The bathrooms are covered in dark marble and feature both a bath and a shower, and come stocked with either Omorovicza, a Hungarian luxury brand, or Italian Acqua di Parma toiletries. 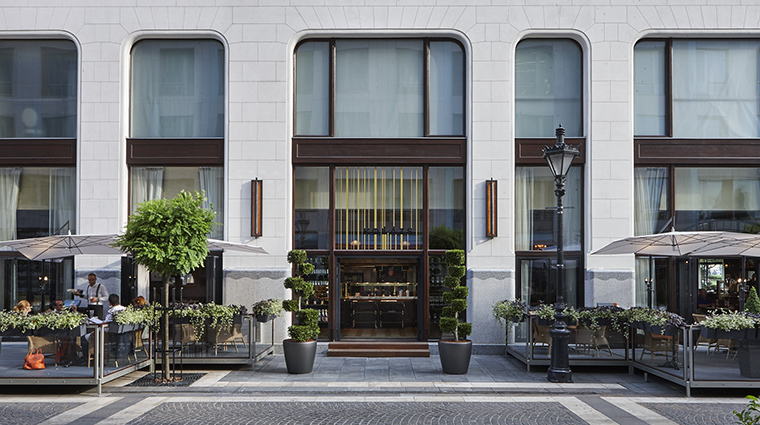 On the ground floor of The Gresham Palace, Kollázs Brasserie & Bar (the name means “collage” in Hungarian), curves round the corner of the building with river views. The restaurant serves up rustic French-inspired brasserie dishes — foie gras terrine with quince and yogurt or beef cheek with glazed root vegetables and goulash jus — with a local twist and a touch of innovation. If you’re feeling adventurous, undertake a “Blind Date” any evening with the chef and sommelier for a unique tasting menu based on the super-fresh ingredients available that very day. The multi-course meal is served with a curated selection of wines and spirits. In the beautiful art nouveau lobby, you can also join the Herend Afternoon Tea each day from 3 to 6 p.m. Served with Herend porcelain, the experience allows you to sip a cup of bespoke Gresham Tea, a medium-bodied Ceylon tea that’s been blended with the flavor of pear, apricot and just a hint of marigold. Tea comes with a cake tower of delightful bites accompanied by live piano music.